Myoyoung Kim remembers that she first saw the term “info-graphic” in an article in The New York Times in 2001. It caught her eye because it perfectly described something she had been doing on her own, as a way of communicating research data while she pursued her BA at the Korea National University of Arts. Myoyoung was studying Interaction Design, which involved research into human behavior. As a way to present research findings to her professors, she began to create graphics that juxtaposed different pools of information to reveal relationships between them, and trends. Graphic presentation of information is at the heart of her work in Cleveland, as part of the Cleveland Foundation’s Creative Fusion Data Cohort. She’s one of eight artists working from research gathered both first-hand and by nonprofit organizations focused on different social, economic, and related issues in the area. The artists have been listening to presentations and reading material to help inform their understanding of the city. That kind of data can be dense with nuance and numbers. The artists will incorporate it into visual works that find insights and make them accessible to new audiences. Myoyoung’s discovery in college was the beginning of a career for her. 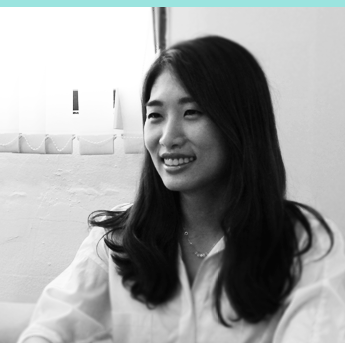 With a classmate, she founded Vice Versa design studio in 2010, which she says is the first infographic design studio in South Korea. She and her team work with major corporate clients as well as governmental agencies. So the Korea Tourism Organization hired Vice Versa to make a graphic solution to the challenge. They designed 300 icons and configured them in a paper pamphlet with flip panels to help organize topics and lead the user through different layers of information. They then developed the same information and expanded it into a cell phone app—Just Touch It, an icon-based translation program with sound that makes it easy for Koreans to make their way in other countries. It’s available now in ten languages. Increased travel goes both ways, which has made Jeju Island—a favorite Korean tourist destination, particularly for an older generation’s weddings—into a destination for Chinese and other international travelers as well. What was historically a bucolic retreat now has museums and galleries. Myoyoung says the perception arose among South Koreans that all the visitors there were from China. The island created the first Jeju Biennale in 2017, and as part of that international art event, Myoyoung Kim created a work that graphically shows the impact of tourism there—including that the overwhelming majority of visitors to the island are still from South Korea. As she considers her work in Cleveland, gathering information from Neighborhood Progress and other organizations, she has developed a “vicious circle” of post-it notes on the wall of her apartment at the Madison Building in Glenville. The notes show a progression of social maladies—poverty, a food desert, obesity, lack of education, drug abuse, joblessness, and related ills—one leading to the next in a circle of interconnected problems. “I saw two faces in Cleveland,” she says. “There are many wonderful places such as MOCA, CMA, Westside Market, etc. Also, I met good people and enjoyed nature.On the other hand, there is a vicious cycle” of social inequities and related conditions. And of course the population hs declined steadily every year since 1999. While she was here, WKYC news reported on 24/7 Wall Street’s annual ranking of “worst US cities” in which to live. Cleveland, it said, is the country’s seventh-most-dangerous place, and ranks as the fifth worst place to live. She plans to create a motion graphic video witih Cleveland’s vicious cycle of interconnected societal ills, using the data similarly to the way she did in the video about Jeju Island. “The last part of the video is interviews of people living in Cleveland. 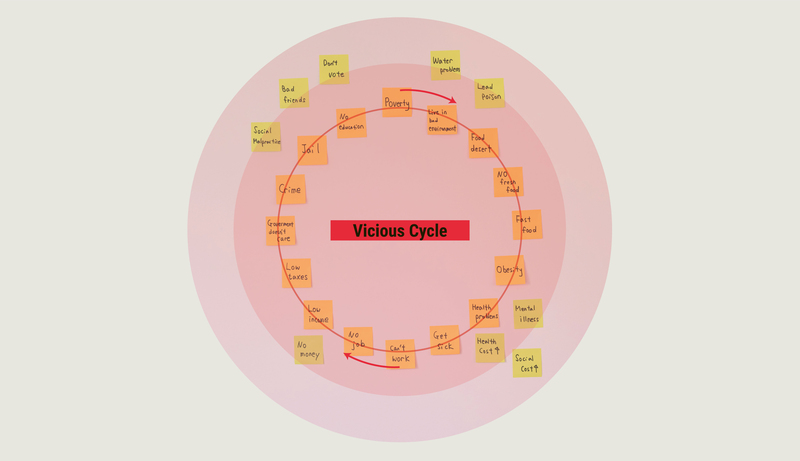 You can hear people’s opinions about what to do to break the vicious cycle.” Her hope is that the video will help by giving people a way to talk about the cycle of problems, and perhaps find ways of resolving them.